ROKITT, a technology company that offers enterprise data management and data discovery product that enables customers to simplify management of their complex web of disparate data assets, announces the appointment of Geoff Massam as a new member of ROKITT’s Board of Advisers. Geoff is Co-Founder, President, and COO of untapt, a fast growing FinTech startup, and a Member of the Advisory Board of ROKITT as well as iRise. Prior to founding his own company, Geoff moved through a number of Managing Director roles at Deutsche Bank, including CIO Investment banking IT and CIO Equities IT. Prior to Deutsche Bank, he worked as a Director at Merrill Lynch running their FX and Rates IT business units. 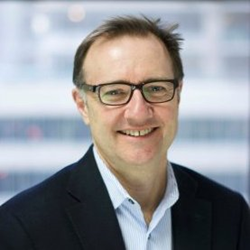 As a member of the ROKITT Advisory Board, Geoff brings a unique combination of senior experience in Financial Services Technology, combined with a strong network of relationships and experience of building a tech start up from the ground up. "ROKITT is intently focused on delivering best-of-breed enterprise data management and discovery product and has a tremendous opportunity to help its customers address some of their most complex data issues," said Massam. "I am excited to join ROKITT’s dynamic management team and contribute my experience and leadership to assist in catapulting ROKITT to the next level." ROKITT was founded in 2014 and is focused on solving the challenges of DATA! Having worked in some of the most demanding IT environments in the world, our people bring the agility, skill and experience required to build best in class metadata product. We are proud to be certified as a women’s business enterprise by the Women’s Business Enterprise National Council (WBENC). ROKITT ASTRA automatically discovers and self-learns data relationships with up to 90%+ accuracy to helps organizations to quickly and accurately baseline the enterprise data landscape. ROKITT ASTRA utilizes machine learning to uncover hidden data relationships while providing a powerful visualization technology to empower organizations to understand and leverage data across several areas of the business. For more information about ROKITT ASTRA visit http://rokittech.com. All media inquiries should be directed to Verrion Wright, Media Relations for ROKITT at 551-225-3807, 201-936-4176 or verrion.wright(at)rokittech(dot)com.